More Time to Choose – MG+BW 20% off Sale Extended Thru 10/25! Need More Time to Choose – MG+BW 20% off Sale Extended Thru 10/25! 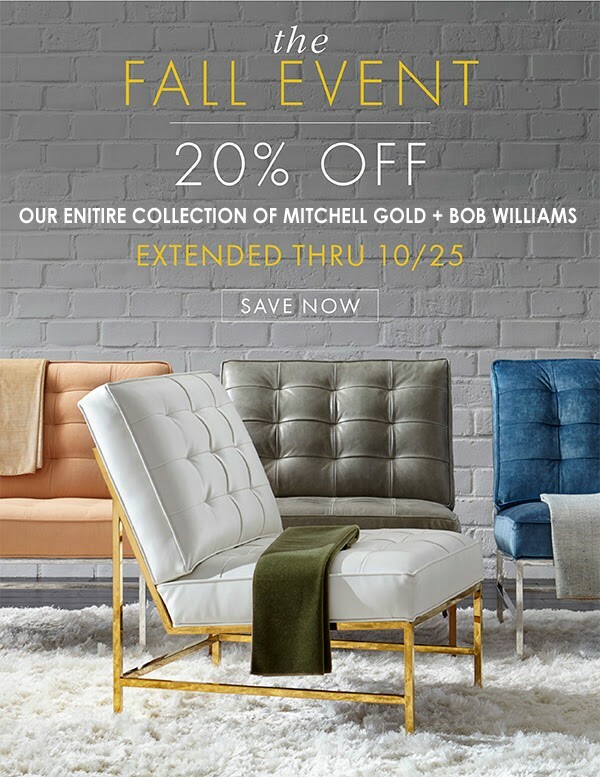 Save 20% off suggested retail on all Mitchell Gold + Bob Williams upholstery, casegoods, rugs, lighting, wall art, and accessories, both in-stock and special orders! 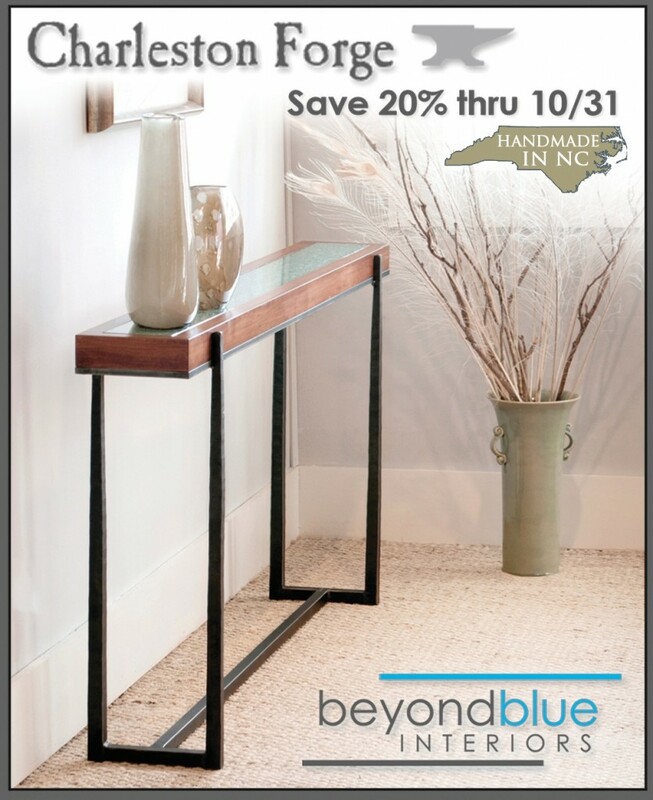 Handmade right here in North Carolina! Charleston Forge products are some of our bestsellers! Beautiful consoles, cocktail tables, side tables, drink tables, desks and more. Made from gorgeous hardwoods, metals, granite, glass, and more. Save on in-stock products (more coming in soon) and special orders!